You may have seen Vivid, this year, or last, or the year before that. But have you seen Vivid at Taronga Zoo? In a precinct that has "kiddie fun" written all over it, this collab at our fave Aussie zoo with our fave, and internationally renowned light show, Vivid, will be something to behold. Called 'Lights for the Wild' it's an illuminated trail of giant animal lanterns lighting up Taronga Zoo, with Vivid as the world’s largest festival of light, music and ideas. Running for 23 nights from 26 May - 17 June, the Vivid Sydney / Taronga Zoo journey begins at the Zoo’s heritage-listed main entrance, brought to life with world-class dazzling projections. 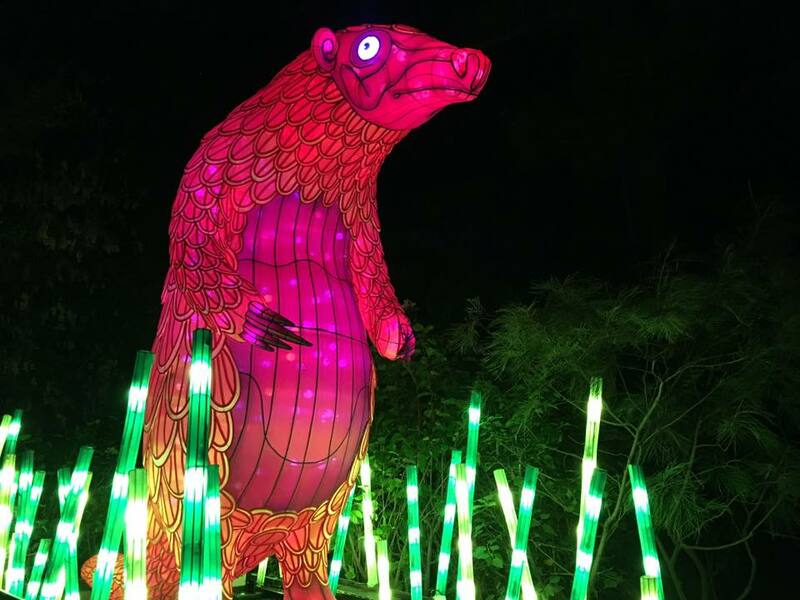 With your interactive wristband on, head through the gates and explore the illuminated trail that winds through the stunning grounds of Taronga Zoo. For the first time, it will be a fully interactive and immersive event! You can become part of the experience and interact with the light sculptures like never before with a state-of-the-art wristband that lets you become a light for the wild. Alongside the festival favourites from last year’s Vivid Sydney at Taronga Zoo including the 10 legacy species lanterns, 'Lights for the Wild' 2017 will introduce us to a whole new cast of characters and surprises including a giant interactive Port Jackson Shark. 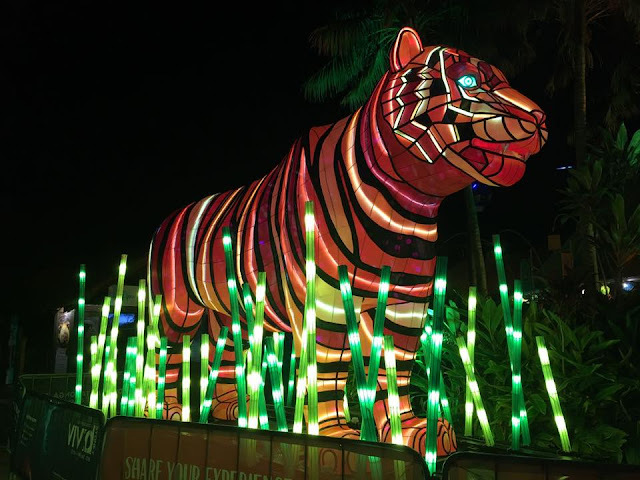 The giant multimedia light sculptures are here: meet the magnificent Sumatran Tiger, the vividly coloured Marine Turtle, a swarm of tiny buzzing bees and a giant interactive Gorillagram. Created by Ample Projects, the collection of multimedia light sculptures is among the largest and most technologically advanced lanterns ever featured in Vivid Sydney. “Each of these incredible installations and light sculptures tells a fascinating tale about conservation. People will have the opportunity to discover stories about these beautiful animals and learn how Taronga is working to help save 10 species from extinction over the next 10 years,” said Taronga’s Director, Cameron Kerr. After the animals have retired to their night quarters for the evening, the lights of Vivid Sydney at Taronga Zoo will take centre stage. As Taronga is for the wild and not-for-profit, Taronga has an absolute commitment to the conservation of wildlife and to securing a shared future for wildlife and people. All ticket proceeds go directly back to Taronga Zoo’s work in conservation and wildlife care. 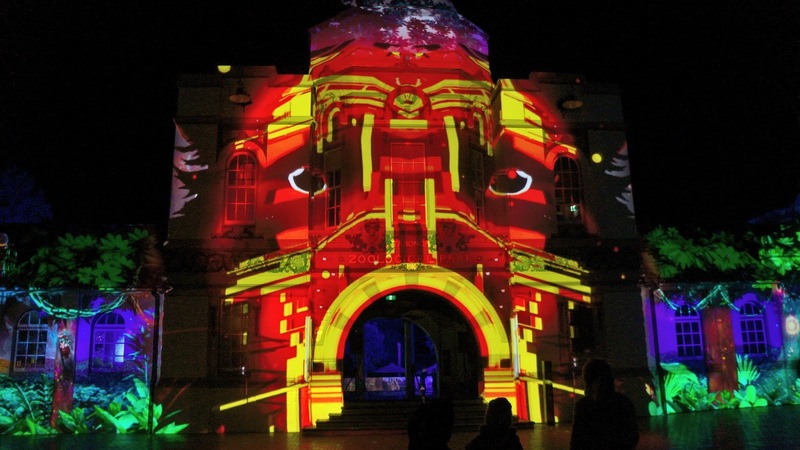 A note: animal exhibits at Taronga Zoo will not be open during Vivid Sydney hours. 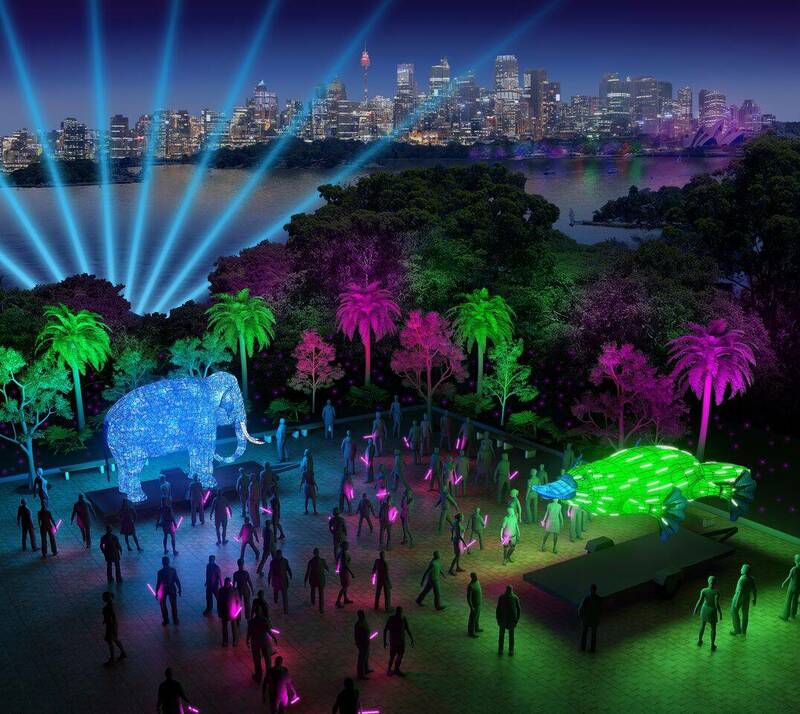 Also, of note: Vivid Sydney at Taronga Zoo is sourcing 100% Green Power, accredited renewable energy for all lighting installations and projections that will form part of the light show. Sourcing 100% Green Power is part of Taronga’s commitment to sustainability and will help work towards Taronga’s 2020 Carbon Reduction Target. You can also buy a Blue Pass, but these are limited. Each night there will be a limited allocation of Blue Pass tickets that include a round trip on Taronga's Sky Safari cable car experience. See the zoo like never before and gain a truly unique perspective of Vivid Sydney at Taronga Zoo.